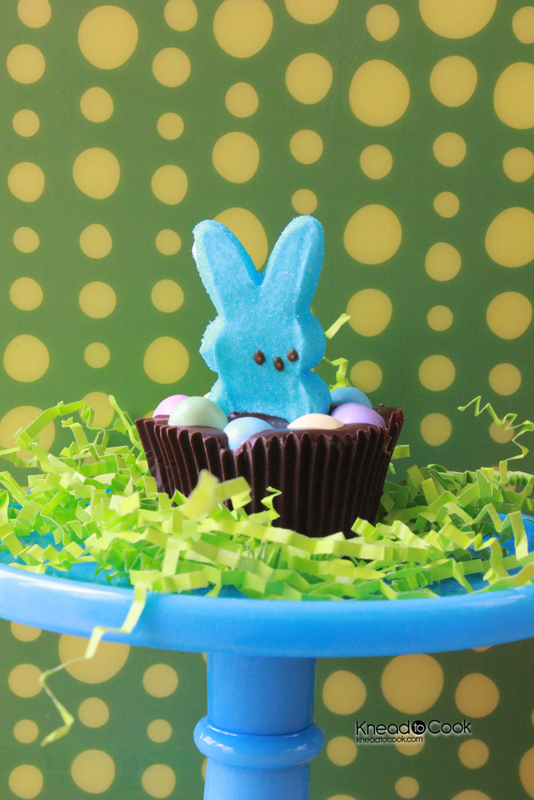 Easter Peeps Cookie Butter Cups. 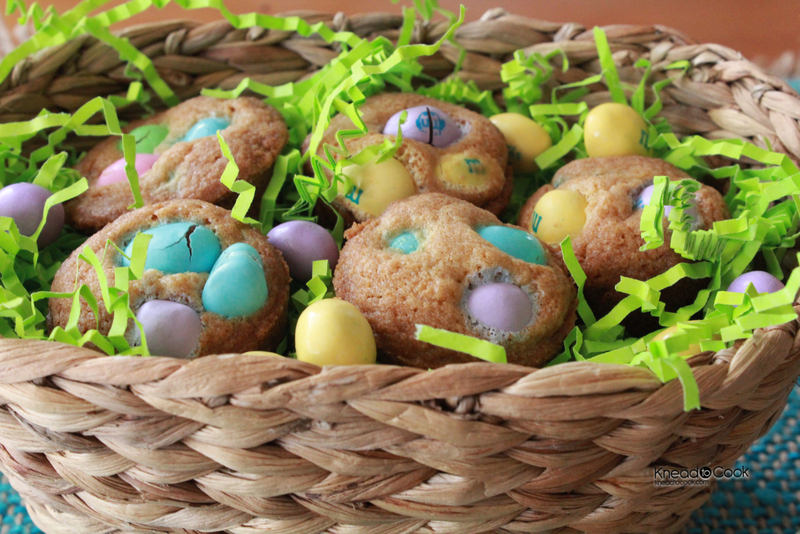 Easter is just a mere 3 days away and I’m rushing around making sweet little treats for friends & family. My daughter picked these Peeps out yesterday, their my father’s favorite, and I decided to use them today. I’m getting in the springy holiday spirit (finally). Peanut butter cups, nah! 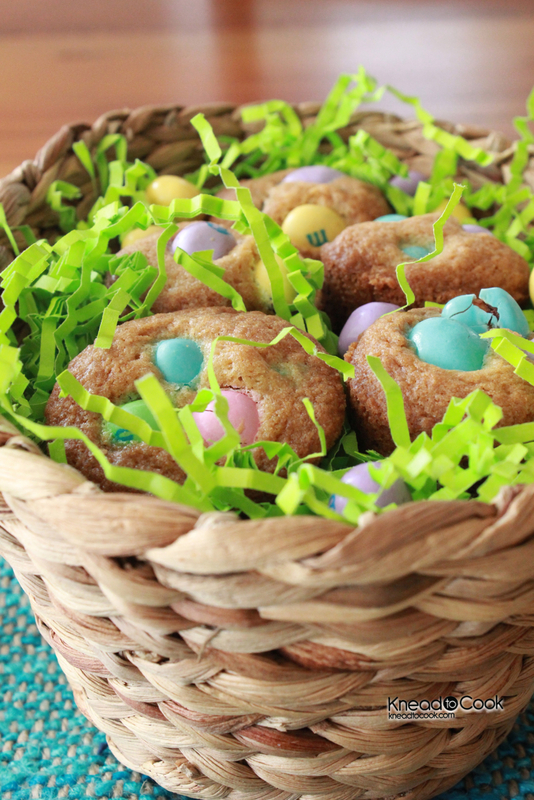 Cookie butter cups… YES! 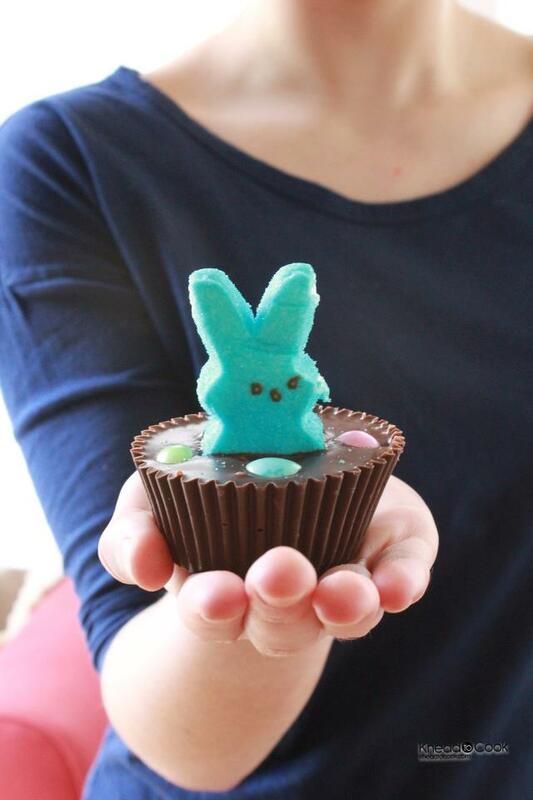 Making chocolate cups is very easy. 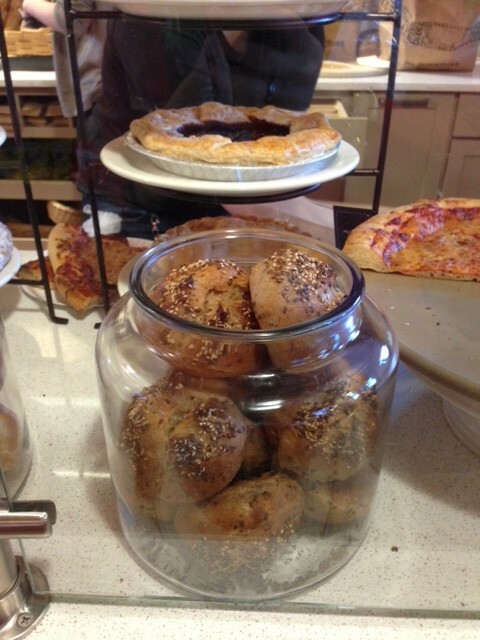 Decide if you are going to use full size paper liners or minis and line your muffin pans accordingly. 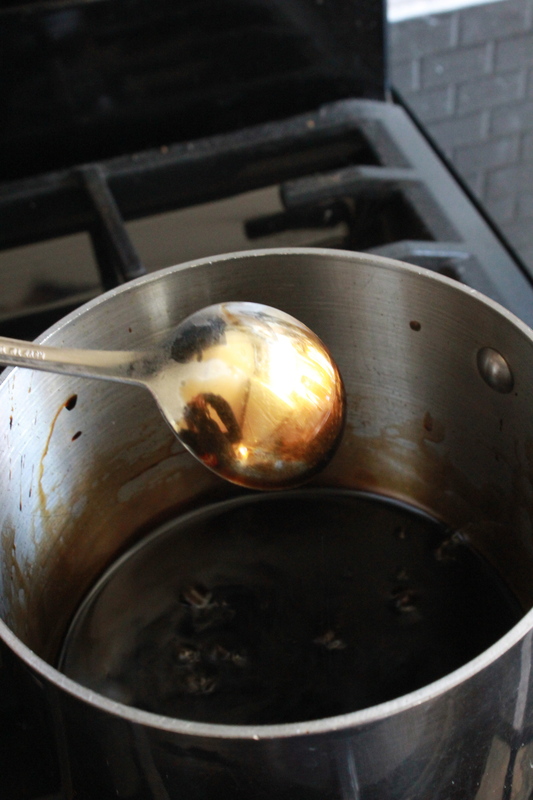 A double boiler – a small sauce pan with a small amount of water simmering and a bowl over top. (I don’t like microwaving chocolate because it’s too easy to burn so I do it this way). Make sure your bowl is microwave or heat resistant. The water should NOT touch the bowl where you will melt the chocolate. The steam is enough to heat the bowl above. Once you get the water to boil, turn down to a simmer. Place your bowl over the top of the pan (cover completely) and place half of your chocolate and 1 tsp of the oil. Stir often until all of the chocolate is melted completely. With a measuring spoon or tablespoon, ladle the chocolate into each cup just covering the bottom and swirling with the spoon a bit up along the edges all around. Repeat. Place in the freezer for 5 minutes or until solid. Then melt more chocolate and add the remaining oil. 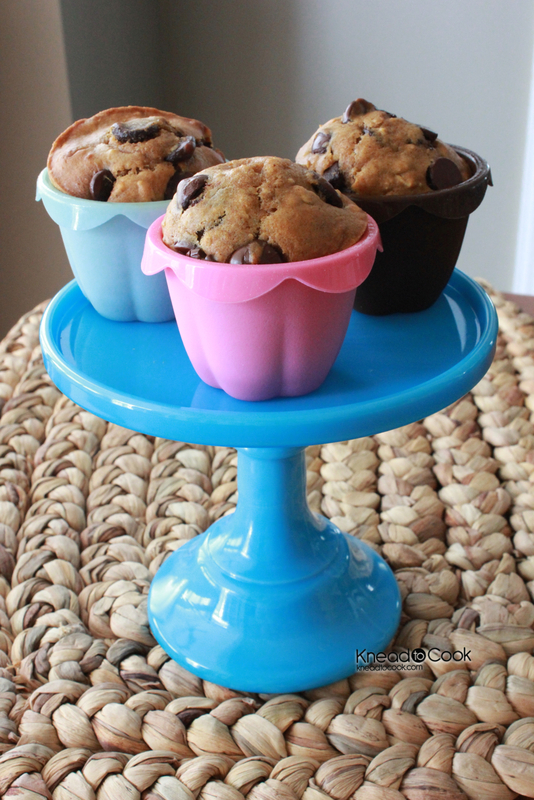 While that’s heating up and melting, take a small amount of your filling and drop it in the middle of each muffin cup. Try your best to flatten it out so it’s level. Then spoon more chocolate over top until it is completely covered. Once all of are complete, stick one Peep in the center of each cup pressing down gently. 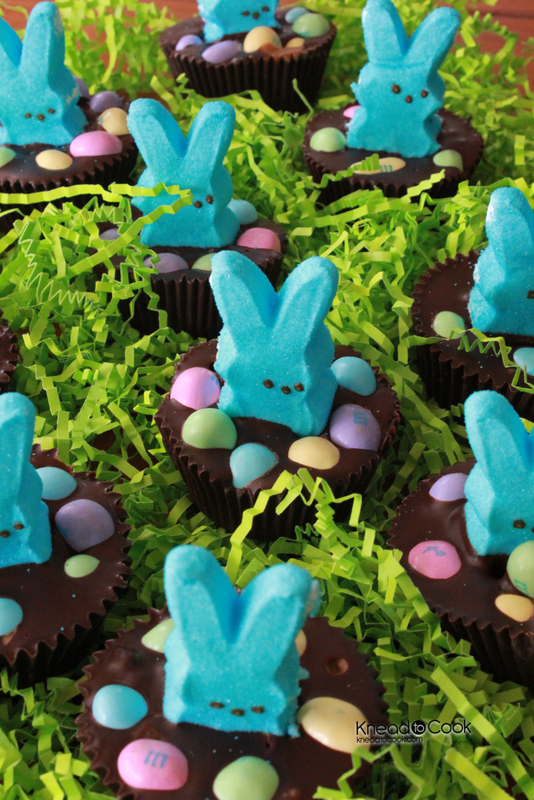 Then surround each Peep with the M&Ms. Return to the freezer and let them set up for 15-25 minutes. Remove the paper lining and enjoy! Smoked Paprika Beef Stew in the Crock Pot. It is one of those days. We all have them & I’m learning to despise them. I literally didn’t stop for one minute to enjoy this sunny, beautiful day until now (the windows flank my computer). I sprang from my bed at 4:30 am & haven’t stopped. I did, however, manage while making my lunch, to whip up a batch of Smoked Paprika Beef stew and get it in the crock pot to work its magic while I ran Easter shopping and carpool. This recipe is very forgiving. You can wing it and it will turn out beautifully. In a large bowl, mix your flour, paprika, salt and pepper. Add the beef cubes and toss to coat. In the meantime, add some olive oil to a sauté pan and turn the heat up to medium or so. Add the coated beef, in batches, and brown on each side. Remove and set aside on a plate with a paper towel (to drain). Then add the onion and paste. Stir and cook for 4-6 minutes. While that’s cooking, add the carrots, potatoes and beef to your slow cooker turning that to low (6 hours) or high (4 hours). Then add the onion/paste mixture. Return the pan to the stove and add the wine and scrape up the bottom bits (deglaze the pan). Cook for 2 minutes. Then pour over the top of the meat/veggies in the crock pot. Add the additional broth and spices. Cover and cook. 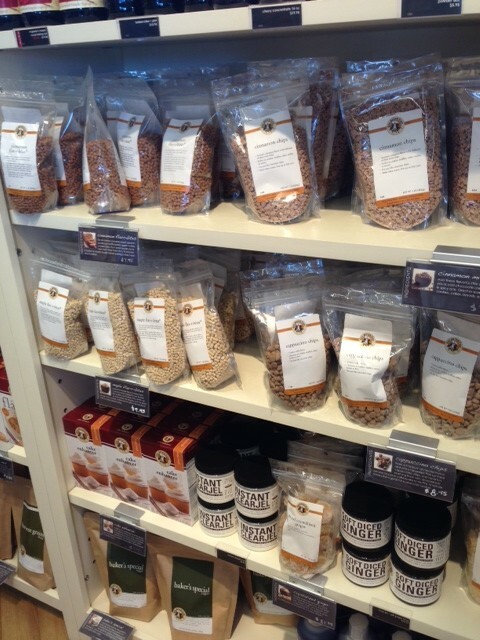 Adjust spices and serve over rice or noodles… whichever you prefer. 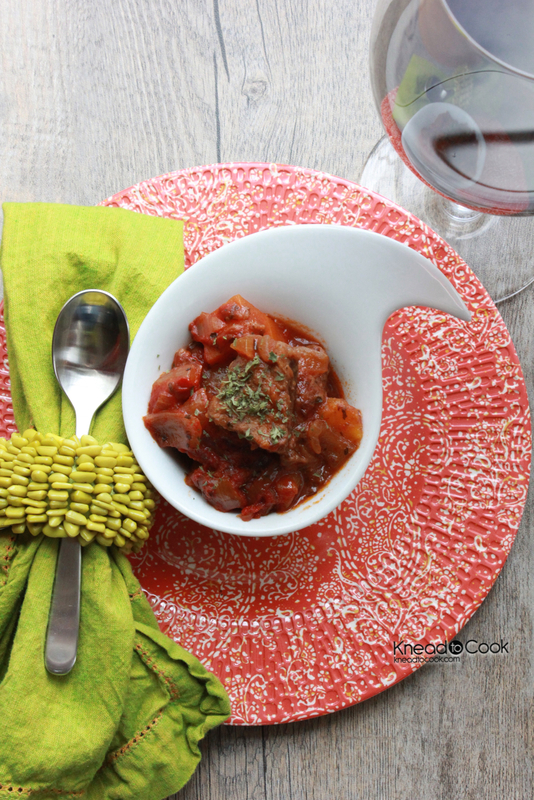 A good red wine and crusty bread will make this dinner perfect! Today is a snowy, rainy, basically icky kind of Monday. After I ran and got my daughter to school, I figured I would start baking. I need to bake for a school event on Wednesday and I’m quite busy tomorrow so I wanted to get a jump on it. 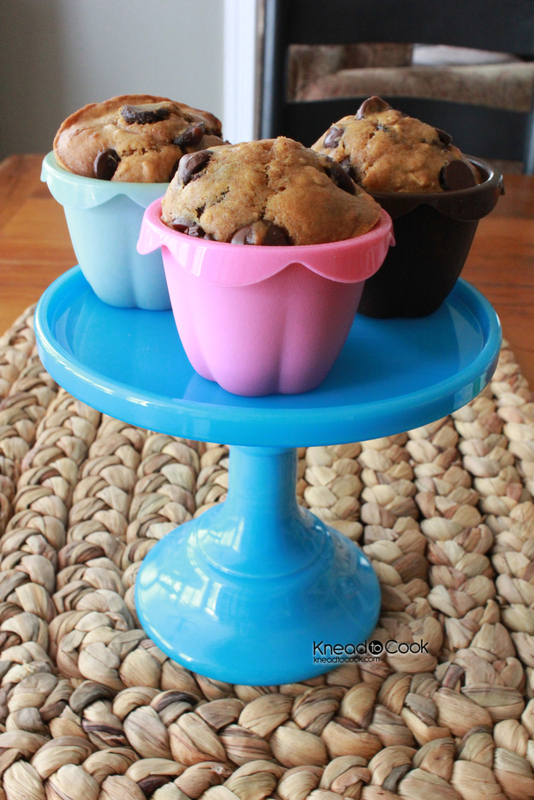 I made this recipe (doubled it) half with loaves and the remaining in these cute muffin cups. Either way would work! Preheat your oven to 350 degrees. Spray your pans/cups etc. with baking spray with flour. Set aside. In your stand mixer, blend sugar and butter until fluffy. Add the eggs and vanilla. In a separate bowl whisk the flour, oats, baking soda and salt together. Add to the butter mixture. Then add the pumpkin puree, Chobani, cinnamon and nutmeg. Blend well and scrape the sides down and mix again. Muffins: Bake for 18-20 minutes. Mini loaf pans: 20-24 minutes. Full loaf pan: 26-30+ minutes. To ensure that the loaf is completely cooked through (or any method you decide to use) insert a toothpick and if it comes out clean, it’s cooked throughout. Curry Chicken Chobani Salad. Healthy & Low fat. My friend Jenny, who we just visited over spring break inspired this recipe. She had in her fridge a similar salad and I recreated it in her honor. It is so good that I cannot stop eating it! Guilt-free because I used organic chicken and non fat Chobani instead of mayo. Totally healthy! Chobani adds much needed protein. It’s a perfect lunch idea! In your stand mixer, with the paddle attachment, place your chicken in the mixing bowl and turn on the mid speed. This will shred the chicken nicely but keep an eye on it and stop it when you reach the right shredding consistency. If you prefer, you can chop the chicken into pieces. Then add the remaining ingredients and mix until combined. Refrigerate in a covered container. 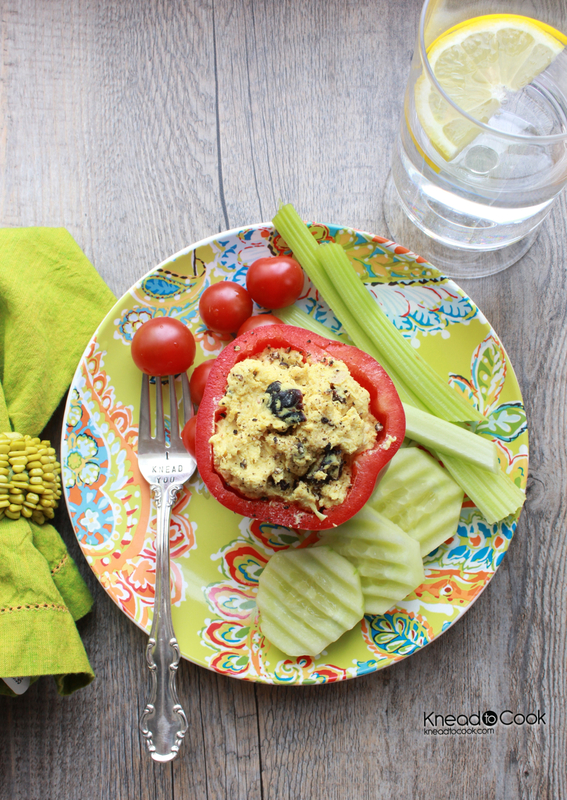 Great served in a bell pepper, on crackers, bread or pitas. Enjoy! 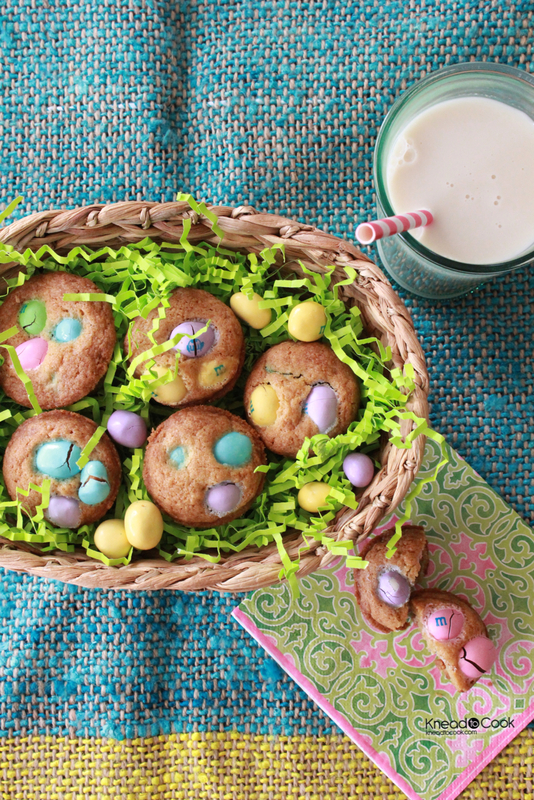 Easter M&M Mini Cookie Muffins. Today, while grocery shopping I spotted with my little eye peanut M&M pastel Easter eggs candies and I thought, even though I won’t eat these, I have two special girls who would love them! 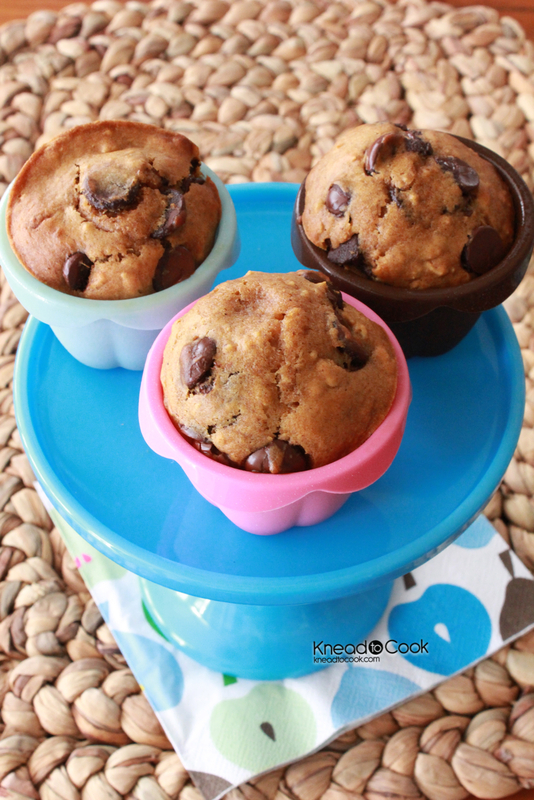 I then thought I would whip them up in my chocolate chip cookie recipe but in a mini muffin form. They turned out perfectly cute and I think my girls will totally heart them! Preheat oven to 375 degrees. 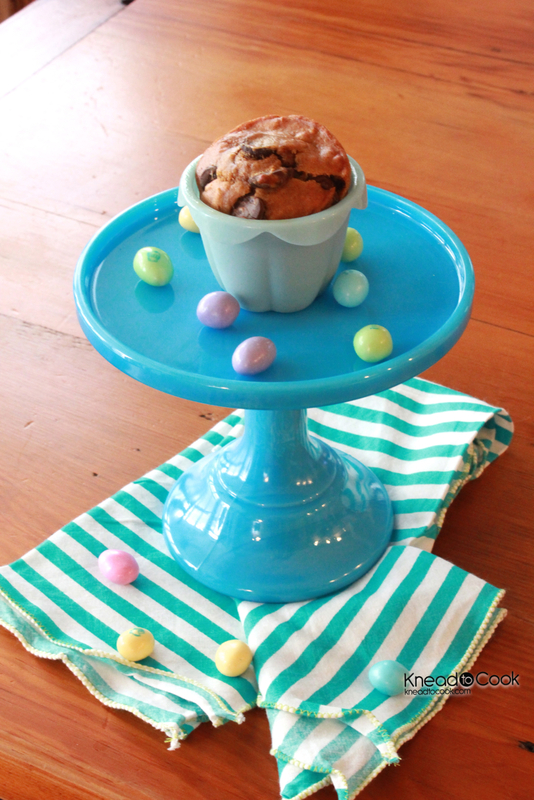 Spray your mini muffin pan with baking spray and set aside. In your stand mixer, paddle attached, cream butter and sugars. Then beat in the egg and vanilla until creamy. Add the flour mixture, blend. Blend well. Add 3/4 of the bag of M&M’s by hand. Drop dough (about 3/4 of the muffin tin) with the cookie dough and place the extra M&M’s on top of each cookie muffin. Bake for 14-16 minutes. 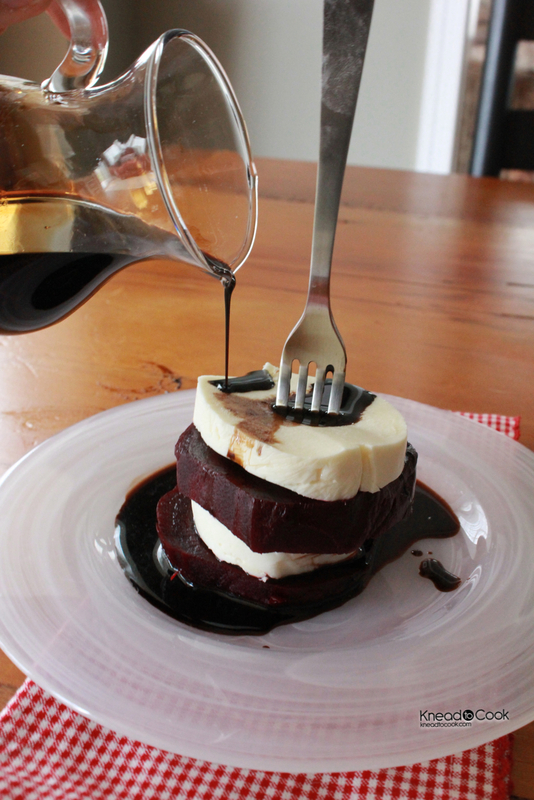 When a vanilla balsamic reduction met up with red beets. Okay I admit it, I’ve always been leery of the beet! I’m not sure why. The red hands, the production, or so I thought to cook them…. in my mind it just wasn’t worth it. Then, one day, I was pretty much forced to choose either tuna atop of a bed of greens or beets atop of a bed of greens for a lunch date. I bit the bullet! I did it! And much to my chagrin… I loved them. Earthy flavor. I do love the color because it means that they are packed with vitamins, which they are. They are great for runners, which I am. And as my youngest informed me, if you eat a ton of them she heard that your urine turns pink. Okay, I have no idea if this is true and I’m not googling it. I can’t believe I just typed the word “urine” on my food blog but I thought her humor may make you laugh, as it did me. 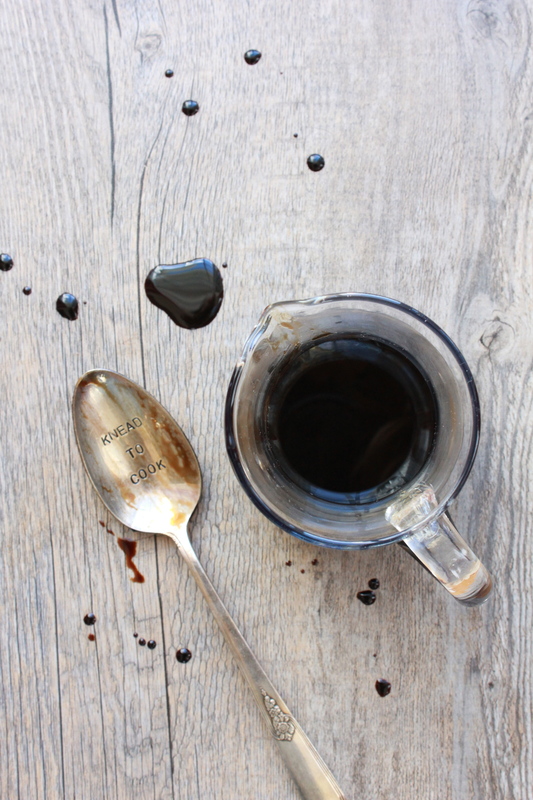 So here we go… my recipe for roasting them easily and a delicious vanilla balsamic reduction to pour over top. Yum! Let’s break this down and take the beets first. 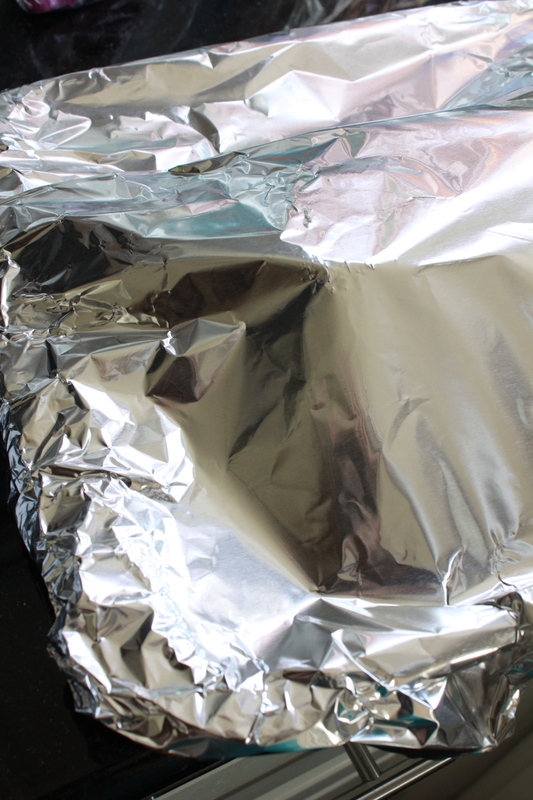 Get a large roasting pan lined with foil. Set aside. Preheat your oven to 400 degrees. Buy as many as you need. 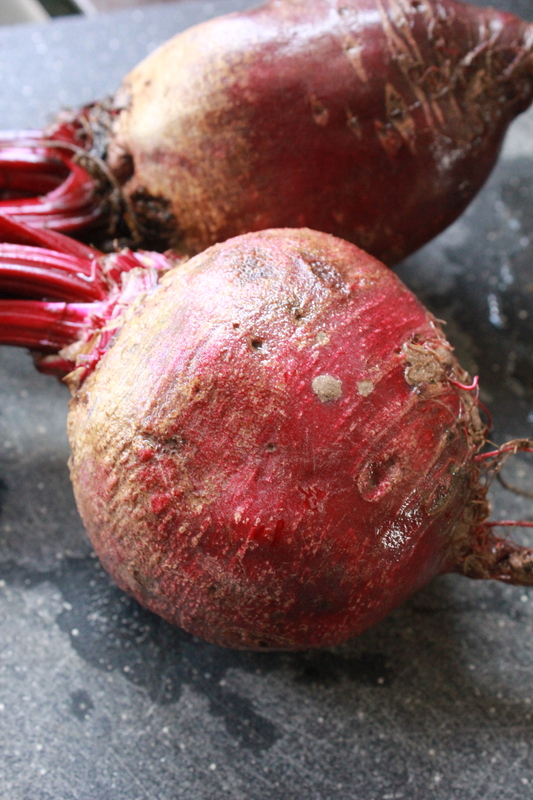 I had two large sized (a bit bigger than a baseball) beets. I cut the greens off (yes I know you can use them for other recipes but I had to focus on the beets first – and I did compost the leaves). WEARING DISPOSABLE GLOVES (you can get them at the grocery store) scrub them good. They are filthy little things. I used warm water and went to town. Gently place them on your foil lined pan. Olive oil and salt! Drizzle them generously with olive oil and sprinkle salt atop of each one. Give them a good massage. Then remove your gloves and throw away. 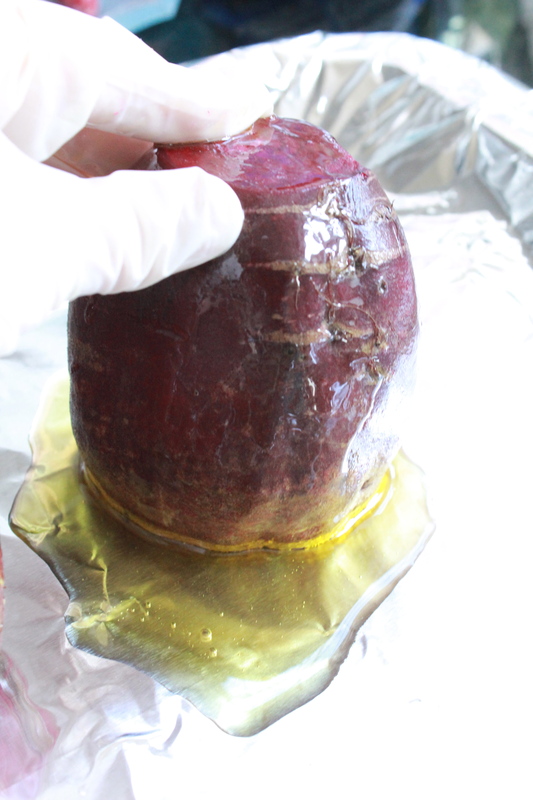 Take another piece of foil and cover the entire pan (over the top of the beets making a tent-like cover). Place in your oven. Roast for 1 hour. Testing… very much like a baked potato. Stick a knife or fork in it. If if pierces the skin and goes deep into the vegetable – they are done! If not, cover and bake for a bit longer. Keep testing until they’re done. Gloves STAT! 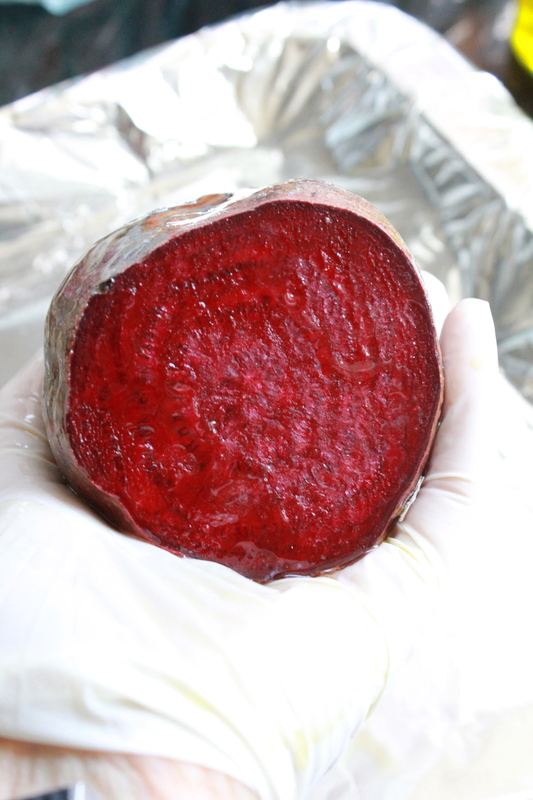 Now, with your gloves on remove the beets and place them on a cutting board. With a filet knife, I removed the skin carefully- composting that as well. Then I sliced them, you can do large slices like an apple ring or cut into bite sized pieces. 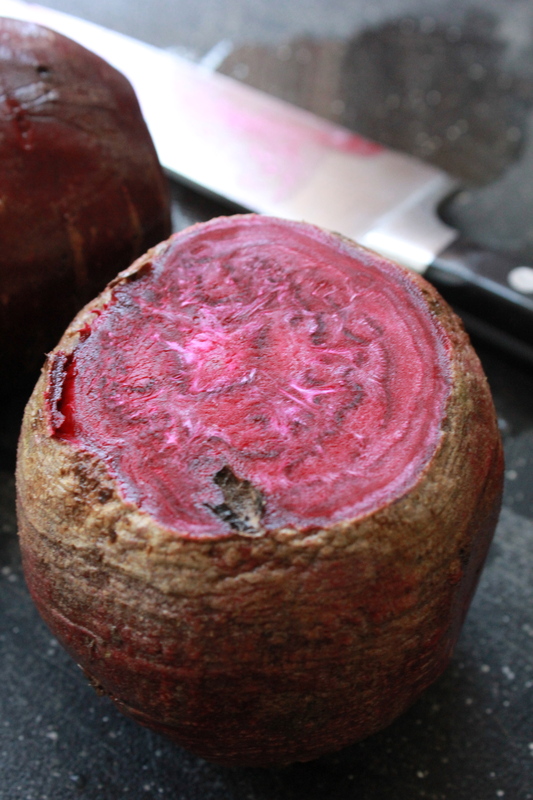 There, you totally roasted your beets! You can store them in a lidded container or eat them right away. In a non-reactive small pot, place all of the ingredients and bring it to a boil. Once boiling, whisk away and turn the flame down to low. Whisking occasionally, let the mixture reduce and thicken for about 20 minutes. Avoid over-cooking this or you will have a caramel textured taffy. When you can coat the back of a spoon or a whisk and 20 minutes have passed, you’re ready. Pour the reduction into a container or mini pitcher and let cool. Use this to top your beets, chicken, beef, seafood or whatever your heart desires. A little goes a long way. 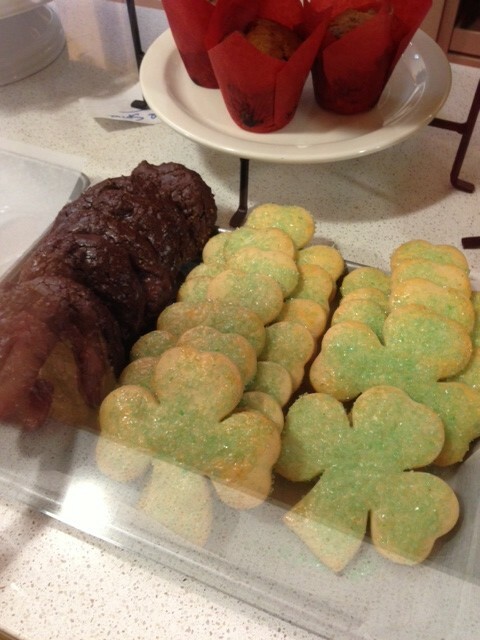 And two pics of the final products. 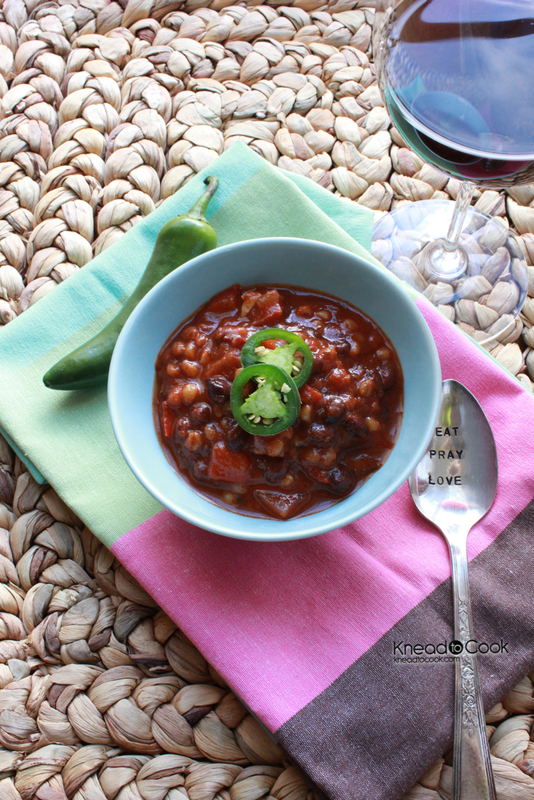 This pulled chicken taco soup was inspired by my youngest who, each and every week, begs for tacos. 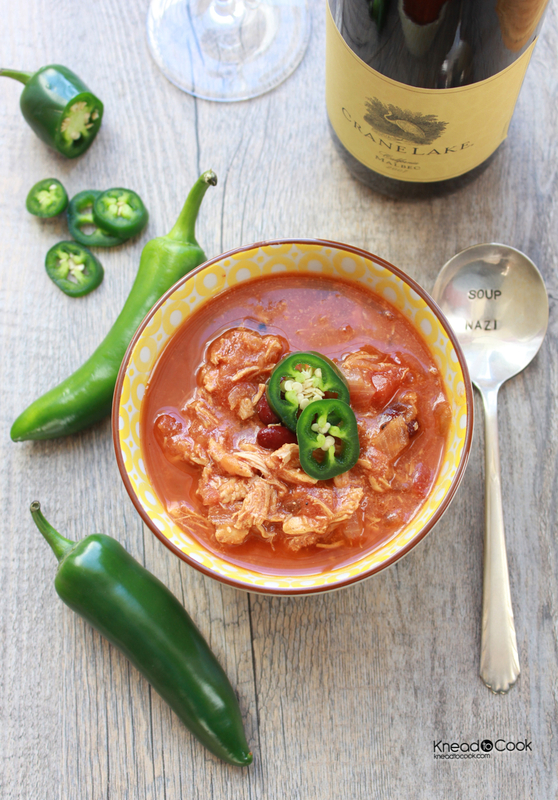 I thought I would put a little spin on it and make my carnivore family a lovely little taco soup with pulled chicken. I had a board meeting and sadly missed it but my husband’s report was that it was a great success! In your Dutch oven or large stock pot over medium flame, add your broth and chicken. Bring it to a boil and cook until the chicken is completely cooked through. This will take 10-12 minutes. Turn the burner down to low, remove the chicken slowly and place it in a bowl. With two forks, start shredding the meat. In your bowl, add the cumin, chili powder, cayenne, salt and pepper. Then add the meat back to the broth. Add the remaining ingredients. Cover and stir occasionally. Taste and adjust the seasonings as needed. Garnish with jalapeño peppers, Chobani plain non fat yogurt, cheddar cheese or sour cream. 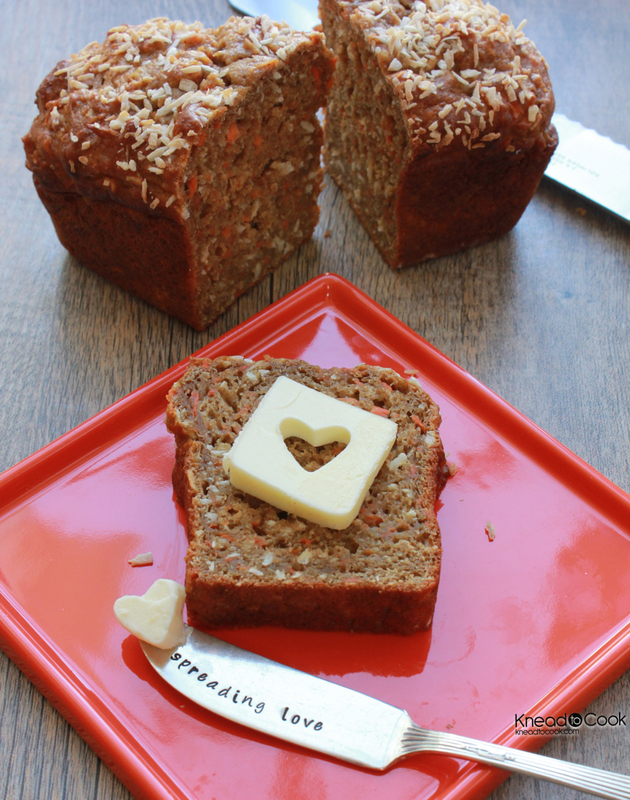 Carrot & Toasted Coconut Bread (or muffins). 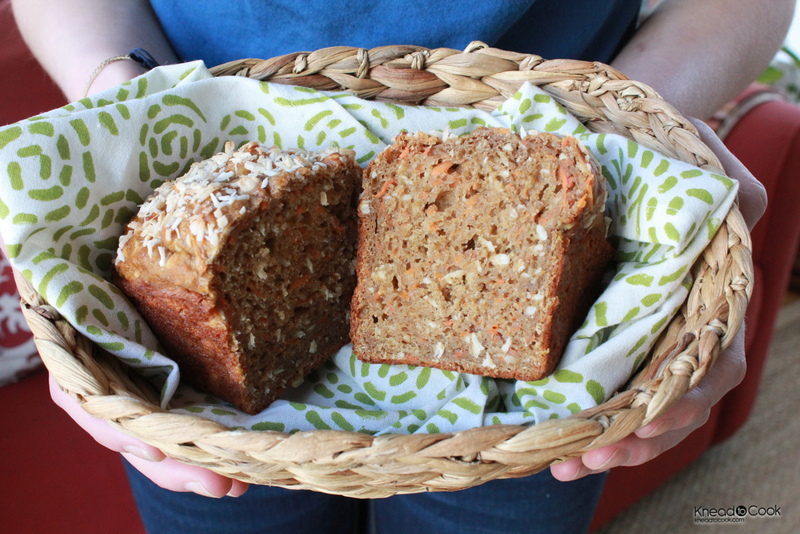 My daughter has been devouring carrots lately and I thought I would make some bread for her to snack on or have for a quick breakfast option. This recipe has no added fat, which makes it even better but wait – I did add some non fat Chobani for extra protein for muscle recovery. 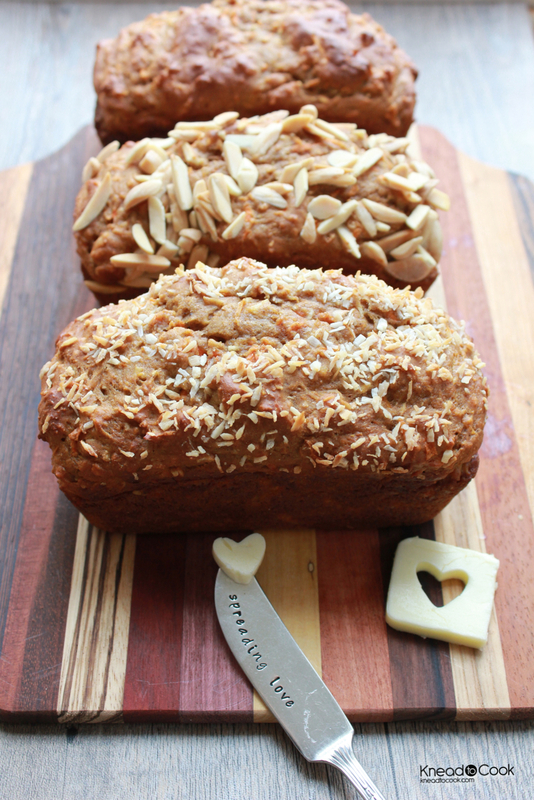 Optional toppings: Raisins, Coconut, Nuts (walnuts or almonds) or just leave it plain. Preheat the oven to 350 degrees. Spray your pan (mini loaf, loaf or cupcake pan) with baking spray with flour and set aside. In a mixing bowl, combine the flours, spices, salt and soda and powder. In your stand mixer, blend the yogurt, eggs, applesauce, brown sugar, extract and carrots. Then add the dry mixture. Blend without over-mixing. Then add the coconut and blend one last time. Scoop into your prepared vessel. Baking times will vary. Muffins will take about 16-18 minutes, loaves will take 24-30 minutes. When an inserted toothpick comes out clean, they are ready! 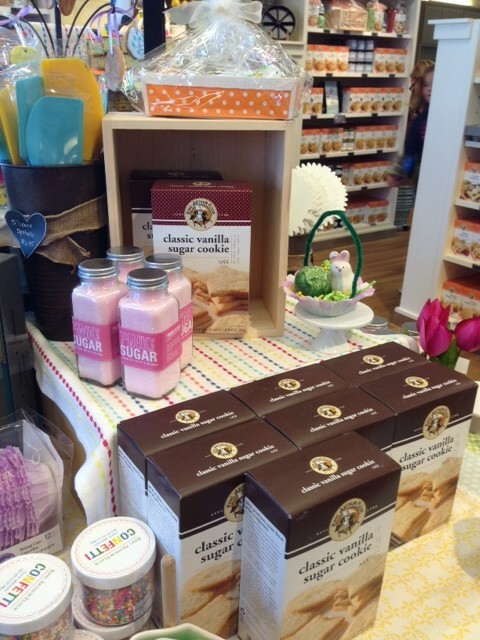 King Arthur Flour Vermont Visit & Giveaway! 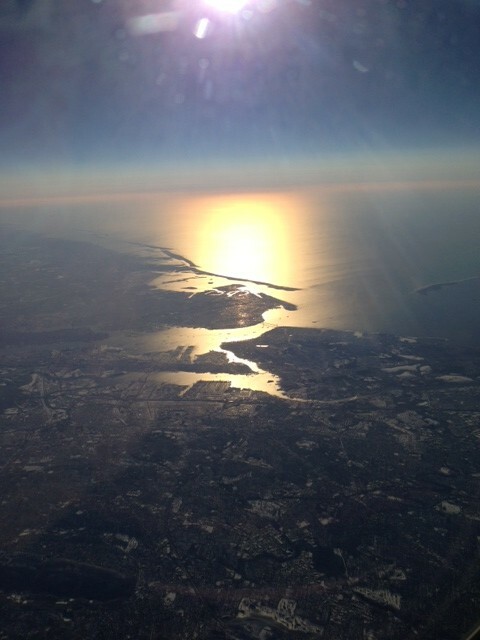 On our way to Manchester, New Hampshire courtesy of Southwest Airlines. 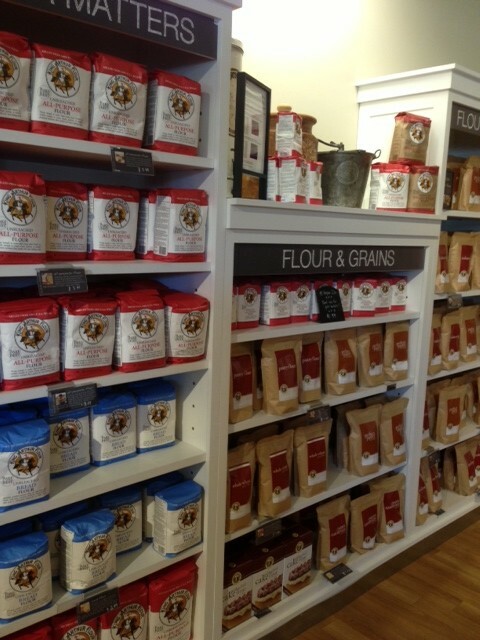 After an hour or so of driving… We arrived at the mecca that is King Arthur Flour! So excited… just cannot put it into words. For a foodie… this is heaven. Sorry about the picture quality… I was using my iPhone 5 and some are from my Instagram account. Then we took a private tour with Diane. 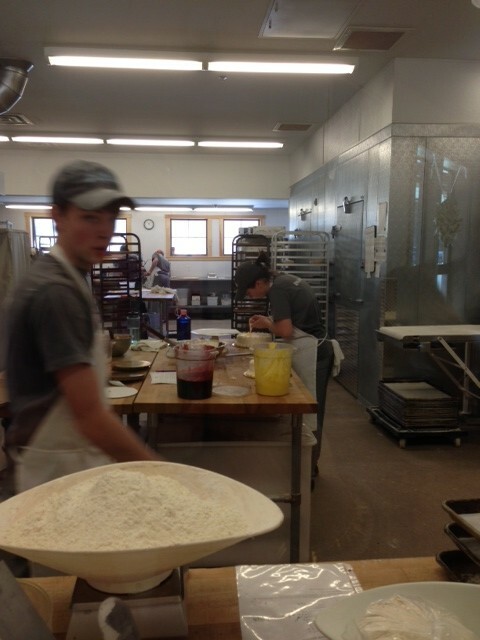 The bakers were hard at work. 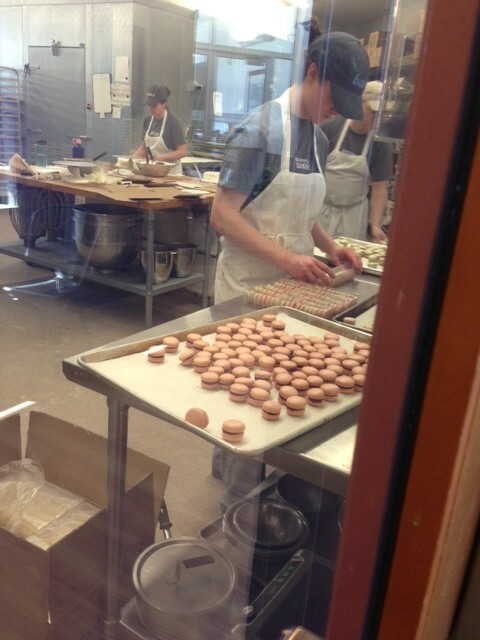 Macaroons!!!!! And lots of them. My daughter and her bestie Paige opted for this sandwich. 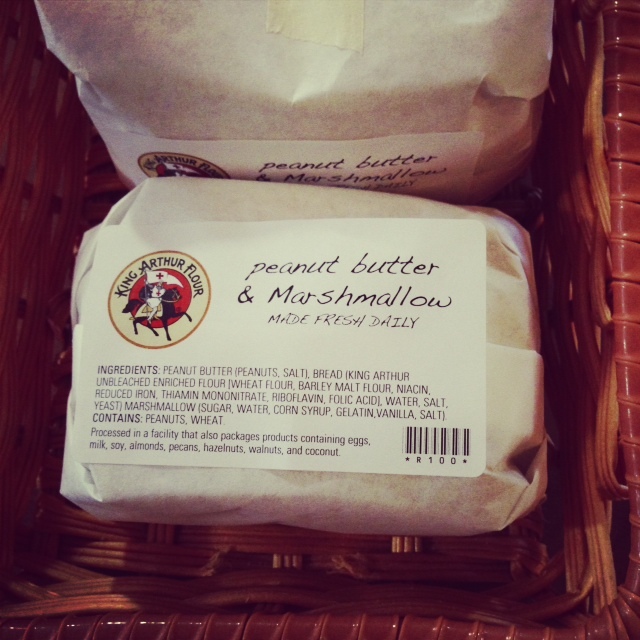 And when they say marshmallow – they aren’t talking fluff – they are talking a full on slab of fresh, homemade marshmallow! 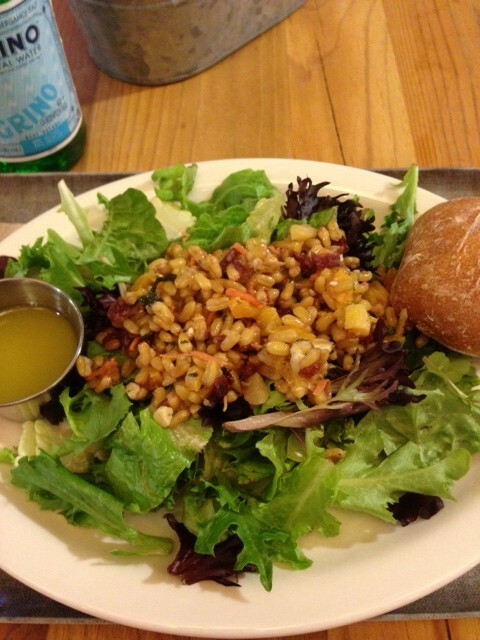 I went the healthy route with a Kamut salad that was to die for! So now that you shared in my love affair that is KAF, they wanted to share some goodies with my friends of Knead to Cook. Thankfully they shipped my goodies right to my door because I bought so much! 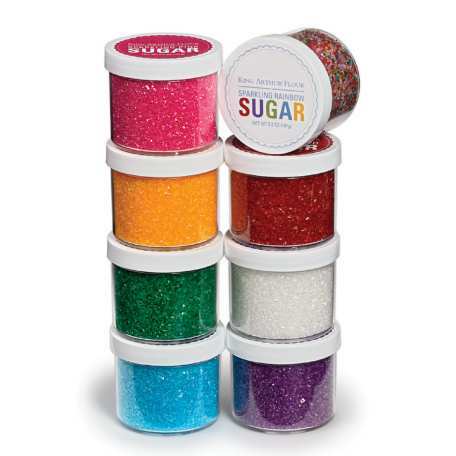 Set of 8 colored sugars for all of your baking/decorating needs. The giveaway starts immediately. How do you enter? 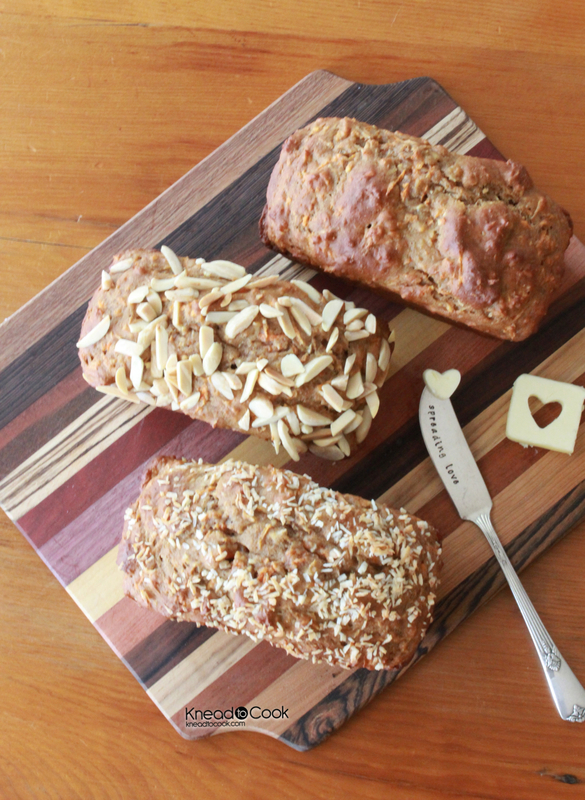 Like both Knead to Cook’s facebook page AND King Arthur Flour’s facebook page. Enter a comment on this post or on Knead to Cook’s giveaway link. Even a simple hello will work. A winner will be chosen March 23, 2013 at 9 pm EST. Announcement of the winner will be after that. You must be a US resident to enter. The winner will be chosen by radom.org. 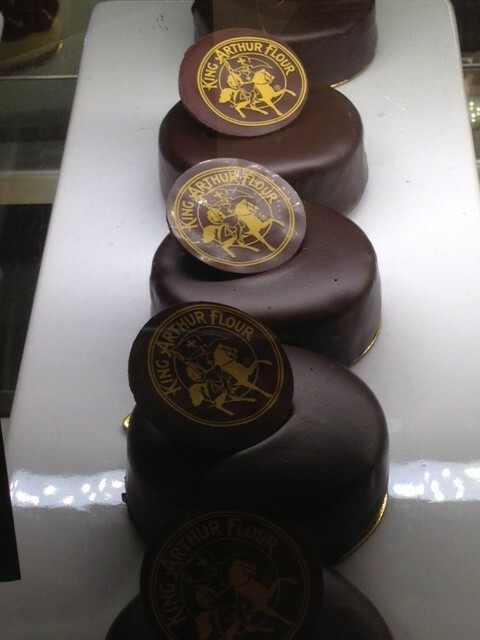 King Arthur Flour will ship the prize directly to the winner.